strips his aircraft for shipping to Bahrain International Air Show 2014 ,which takes place between the 16th and 18th January. Preparations for the show started 15th months previously. 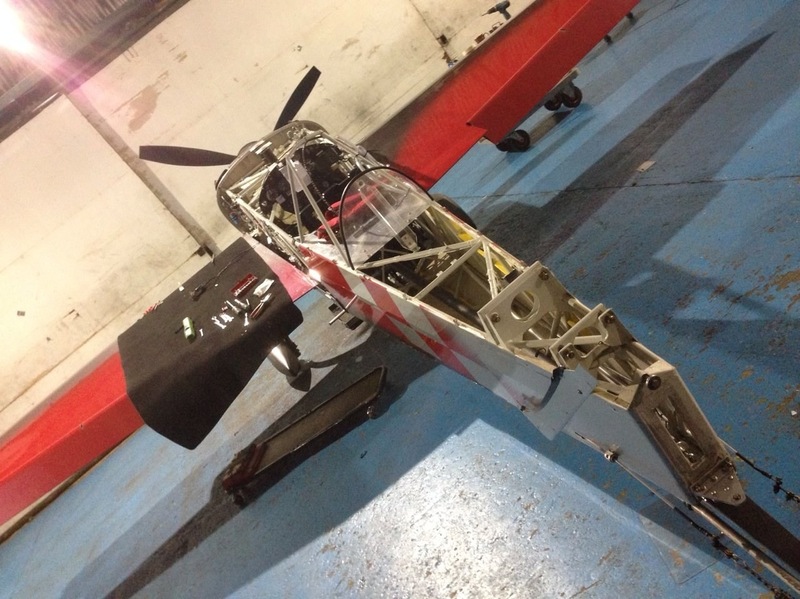 The Extra 330sc can be disassembled and put into pre made shipping frames by two people within 16 hours worth of work. During this process, areas of the aircraft which would be difficult to inspect or clean are opened. Shipping by sea has the potential to be extremely corrosive to the aircraft. To lessen this possibility the cylinders are coated internally with LPS3; a type of wax oil product. The fuel injector is sealed with a vapour guard product. The same LPS3 is used on the exterior of the engine block. 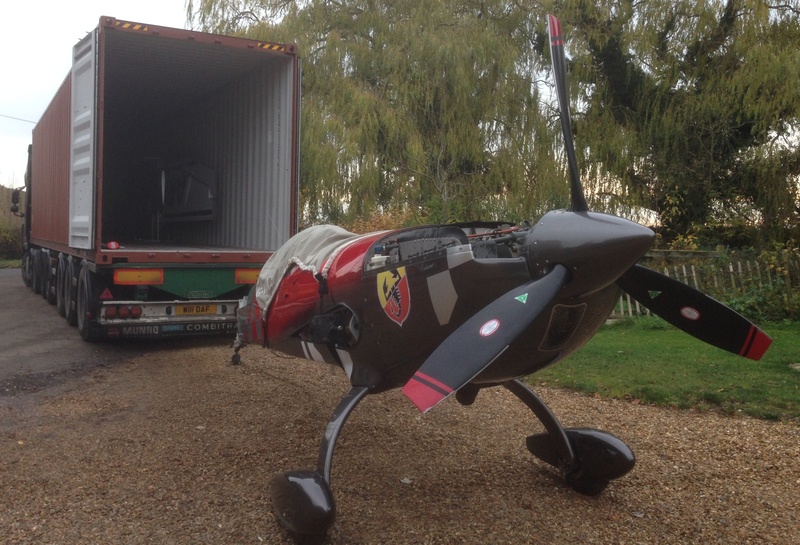 The wings are mounted in a bespoke frame made especially for securing in a sea container. 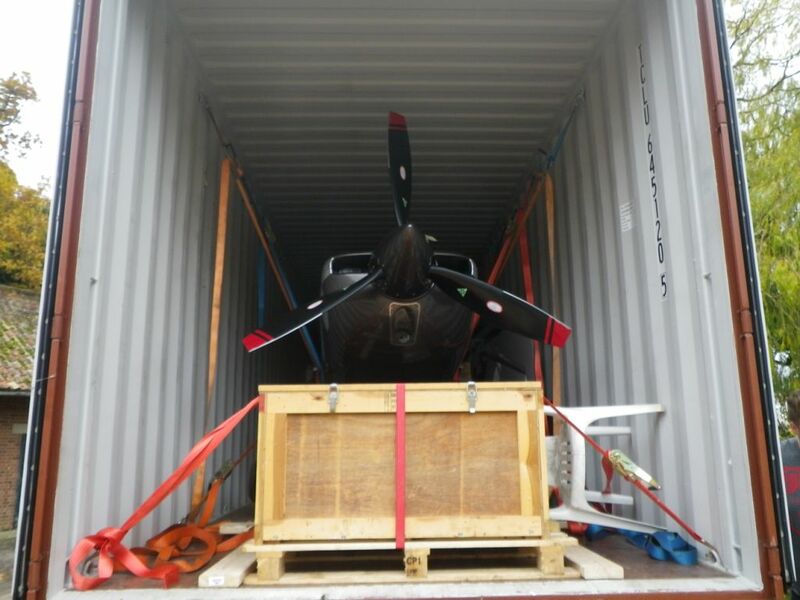 The fin and rudder are mounted in wooden frames which are in turn screwed to the floor of the container, however some people choose to refit these to the aircraft. The tailplane is mounted on the wing frame. A considerable amount of tooling is required ranging from specially shaped spanners for the rudder removal as well as the main spar bolt extractor. A substantial spare parts inventory is also shipped just in case of a failure as has previously happened in Al Ain on one occasion. Brakes, undercarriage legs, propeller blades, magnetos, alternator, starter, tyres, etc are shipped. Assembly of the aircraft will take place at Sakhir air base commencing on the 11th January and will hopefully end by the following day with a check flight. Mark will be flying six displays during the show. Subject to certification by EASA, there is the exciting possibility of an evening show using pyrotechnics attached to the wing tips. 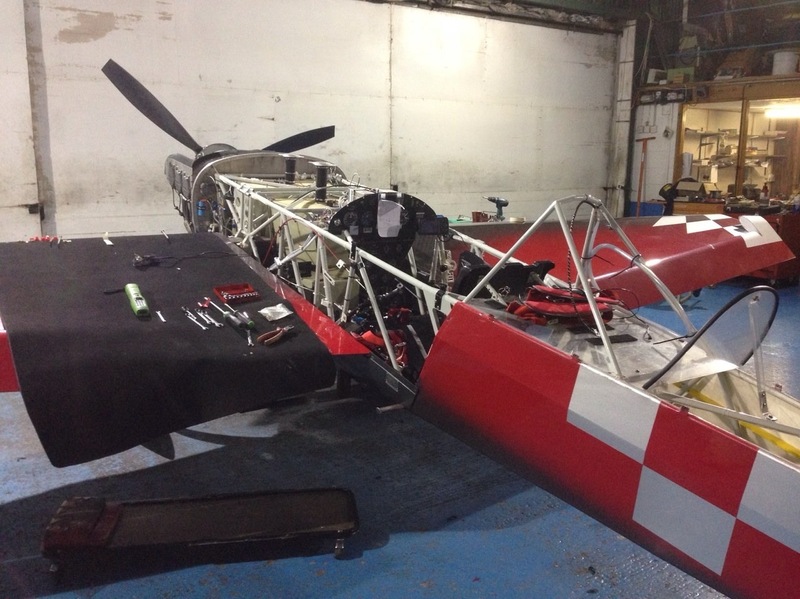 After the show disassemble will yet again recommence to prepare for the shipping to India Aviation, Hyderabad in March.